The LA Kings made a roster move Monday morning, assigning 19-year-old forward Jaret Anderson-Dolan back to WHL-Spokane and recalling right-shot defenseman Sean Walker from AHL-Ontario. With the roster move, the Kings now have 13 forwards, eight defensemen and two goaltenders on their active roster in advance of a two-game, Tuesday-Thursday road trip through Dallas and Minnesota. 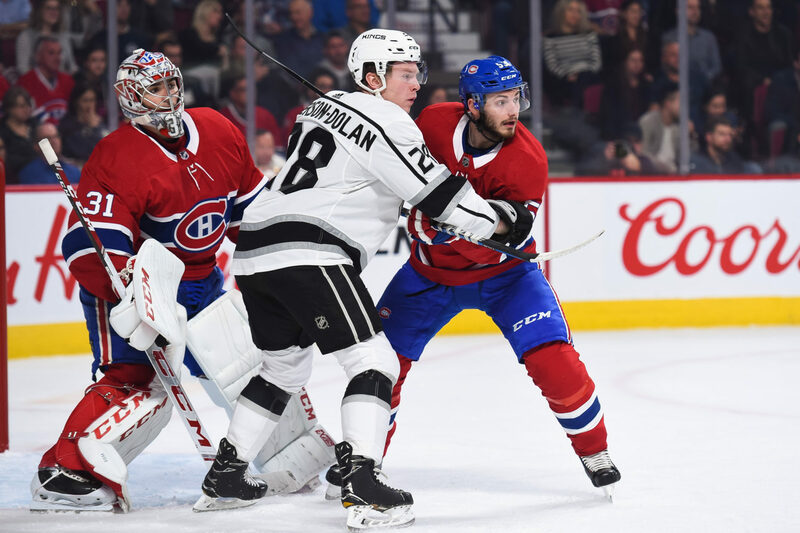 Anderson-Dolan showed off his good motor in winning several puck battles behind the net to set up Michael Amadio for a goal two Thursdays ago in Montreal, which served as his lone point in five games. After logging 9:05 against the New York Islanders on Thursday, he didn’t play in Saturday’s game against Buffalo, at which point, given Dustin Brown’s projected return this Sunday against the New York Rangers, it seemed most likely that he’d be returned to play his final year in Spokane. Players in their 18 and 19-year-old seasons drafted out of major junior hockey are not eligible to play in the AHL until the conclusion of their junior seasons, so it was always most likely that the Kings would have kept Anderson-Dolan through a portion of the nine games played allotted before the first year of his NHL contract was activated. That nine-game trial period gave him a slight leg up on Austin Wagner for a roster spot, per conversations with hockey operations near the end of the preseason, but when Brown broke a finger in the final preseason game, there was enough space for both players. Barring anything unforeseen, Anderson-Dolan, who had a tremendous summer showcase camp in Kamloops over the summer, will be expected to make Canada’s World Junior team and suit up as a 19-year-old for the Chiefs while serving as a major figure – along with defenseman Ty Smith, New Jersey’s first round pick last June – for a team that should finish among the upper echelon Western Conference WHL teams. It still remains to be seen whether Spokane will benefit from the return of forward Kailer Yamamoto, a fellow 19-year-old who has one goal and a minus-three rating through six games this season with the Edmonton Oilers. Yamamoto appeared in nine games with the Oilers last season, totaling three assists. Walker, a slick-skating, sparkplug-type defenseman with a proclivity for providing offense, is a former Bowling Green captain who signed an entry-level contract over the summer. Speaking with a hockey operations figure at the time, one particular note caught my ear when listening to a scouting report. I don’t recall what the words were verbatim, but it was essentially, “we can’t call him up if he doesn’t have a contract.” Walker was on an AHL contract last season, and while hockey operations figures went to Ontario to scout players under club control, they continued to be impressed by the 5-foot-11, 196-pound mobile D-man who also seemed to be at home defending and supporting his teammates. 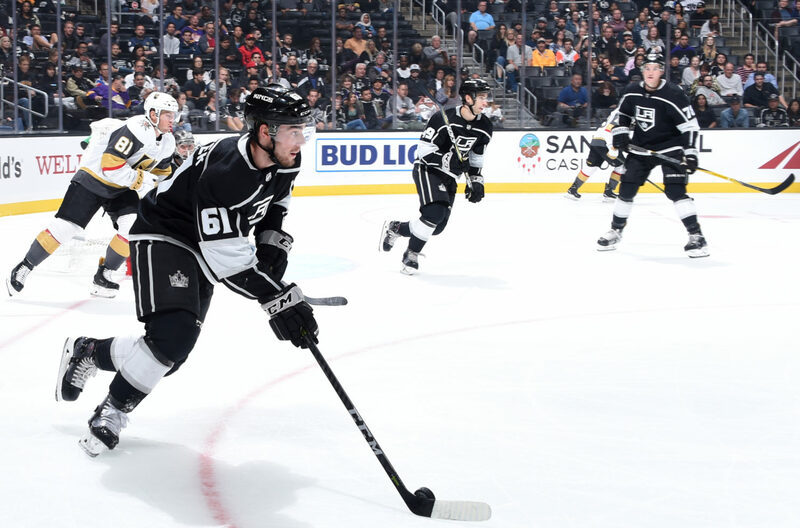 Should he get into a game, Walker would become the second player to ever wear 61 for the Kings, joining Trevor Lewis, who wore the number from 2008-10.